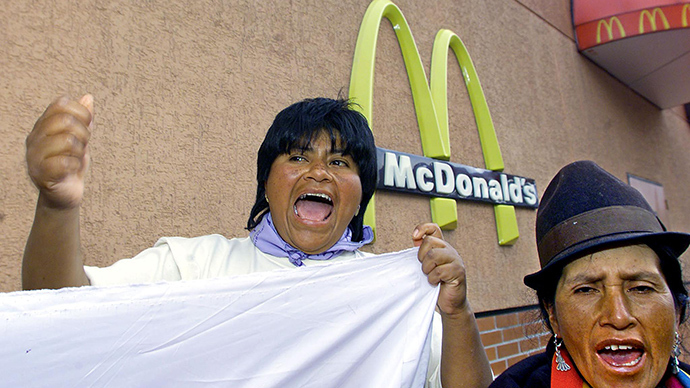 Ecuador’s leftist president Rafael Correa is taking on US-owned fast food chains in a bid to combat the escalating obesity problem in the country. “We are moving past poverty-related problems since the country is progressing a lot, and moving on to problems of affluence. People are dying from bad food, not a lack of food. 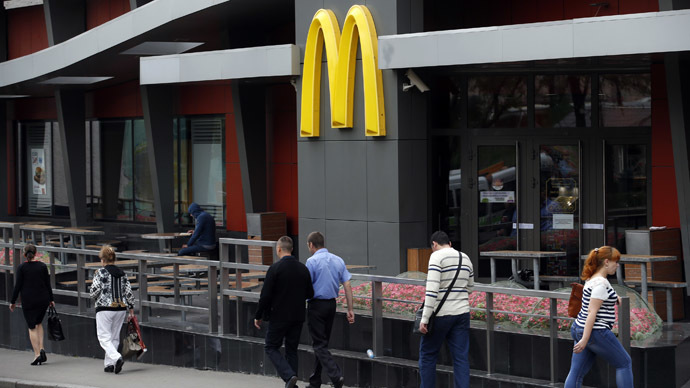 People will stop eating so many McDonald’s and Burger King hamburgers with the tax. This favors the production of our traditional gastronomy,” said the politician, who has become well known for his strident anti-American rhetoric since assuming power in 2007. Correa’s PAIS Alliance holds more than two-thirds of the seats in the country’s legislative assembly, and while internet memes bemoaning state interference in people’s diets have appeared on the internet, the law is sure to be passed in the coming months. Though the politician did not outline the severity of the penalties, or who would be covered by the law, the target of his ire was clear. “We're talking about these big chains where meat is cooked in pans of oil used over and over, which is a threat to public health,” said Correa in his local radio address. There is debate on the impact of the proposed measures. 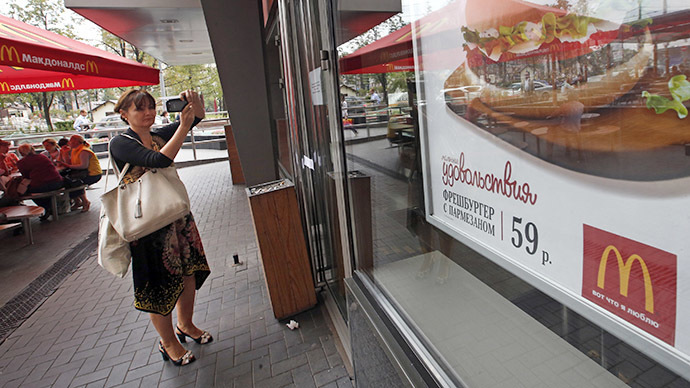 The country of 15 million has just under 30 McDonald’s outlets and 15 Burger Kings, mostly in urban areas, and the food is relatively expensive, serving as a treat for the middle classes, more than a mass fast food solution. Yet, as Correa hinted, the tax is not likely to interfere with the much more prevalent street and hole-in-the-wall cafes affectionately known as chancrosas, or “syphilis transmitters.” Thousands of these establishments offer food that at first glance does not appear significantly different from that of the chains – burgers, hot dogs and pizzas – for about $2, several times less than the big chains. Yet the scale of the problem is undisputed. 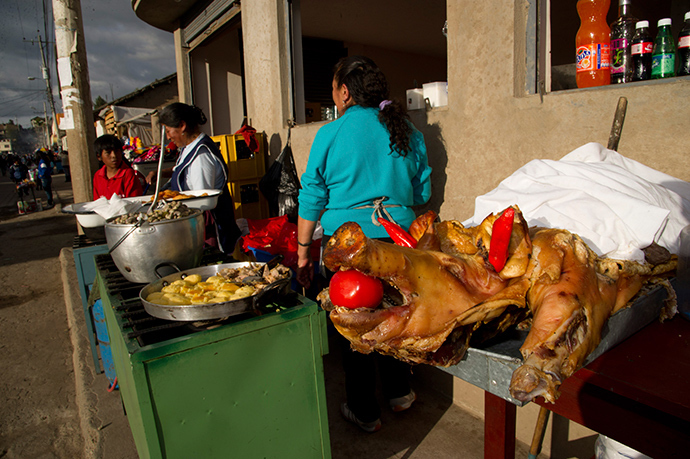 Ecuador suffers from what the World Bank, in its recent report, called the “double burden” of malnutrition among both the rural and poor population, and an emerging middle class that is gorging itself on fatty foods, like it is living in times of scarcity. While the country has not yet entered the world’s top 10 most obese nations – with the US still at the top of that ranking – local health statistics indicate that nearly two-thirds of all adults between 18 and 59 are overweight. Studies show that indigenous populations of American countries, historically raised on a more austere diet, are genetically more prone to putting on weight, further complicating the government’s policy choices. As well as the more populist measures, Correa has also introduced a traffic light system – labeling foods as either green and healthy, yellow, or red, and potentially harmful. The system, touted in recent years by food scientists around the world, is not likely to have a measurable effect for years to come. On the whole, attempts to regulate food choices in middle and upper-income countries have enjoyed limited success. Denmark’s revolutionary tax on fatty foods, both in shops and restaurants, imposed in 2011, became unpopular, and was quickly abolished after complaints about its economic impact, as well as lack of effectiveness. Mexico, the world’s second fattest country, implemented a 1 peso (7.5 cent) per liter tax on sugary drinks this year. Other overweight Latin American states, such as Chile and Brazil, are considering similar measures, and will be watching the Ecuadorian experience with interest.